Precious metals futures rebounded Tuesday, recovering a bit from losses on Monday that brought gold, silver and platinum to settlement lows that ranged from more than one and a half years to nearly ten years. Posting its first gain in four sessions, gold for December delivery added $1.80, or 0.2%, to finish at $1,200.70 an ounce on the Comex division of the New York Mercantile Exchange. "An encouraging sign for the precious metals bulls is that their markets were able to sustain gains today despite a solid rally in the U.S. dollar index to a 14-month high.," Jim Wyckoff, a senior analyst at Kitco Metals Inc., said in a report. 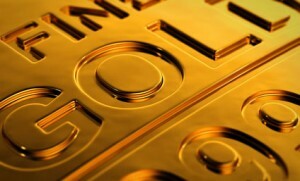 Gold futures ranged from a low of $1,198.90 to a high of $1,205.80. They dropped 1.7% on Monday, ending at their worst level since Jan. 30, 2017. Meanwhile, silver for September rose 7.1 cents, or 0.5%, to settle at $15.053 an ounce. Silver futures traded between $14.97 and $15.11. They tumbled 2.1% on Monday, marking their lowest close since April 4, 2016. After ending at the lowest price since December 2008, October platinum gained $2.20, or 0.3%, to $801.70 an ounce, ranging from $795.80 to $809. Palladium for September delivery tacked on $9.10, or 1%, to $890 an ounce, trading between $878 and $890.70. Gold declined $3.35, or 0.3%, to 1,197 an ounce. Silver fell 15 cents, or 1%, to $15.035 an ounce. United States Mint bullion sales were unchanged Tuesday. Below is a sales breakdown of U.S. Mint bullion products with columns listing the number of coins sold during varying periods.